There are many PADI Speciality Courses with the PADI system of education and we have listed below some of our most popular that are specifically suited to our environment. The purpose of the PADI Specialty Diver courses is to familiarize divers with the skills, knowledge, planning, organization, procedures, techniques, problems and hazards for various special-interest areas in diving. 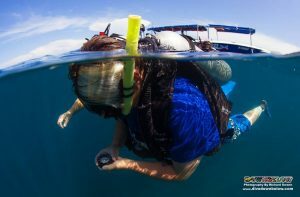 Achieving PADI Specialty ratings can take 1 or 2 days but this is all hands-on, so you’ll be diving right from the start as you aim for the ultimate in recreational scuba diving – PADI Master Scuba Diver Rating. Get five specialty ratings and you’re on your way to becoming a PADI Master Scuba Diver (MSD), the highest level of PADI’s non professional certifications – interested?? Then take the Master Scuba Diver Challenge!! Next to the speciality course title you will see the number of dives included within the speciality, for speciality training we conduct 2 dives per day. If during your PADI Advanced Course you completed one of these dives it can be credited towards your speciality course therefore reducing the time and and cost of the course. The AWARE Shark Conservation Diver Distinct Speciality turns divers and non-divers into informed, passionate shark defenders who can spring into action to protect them. The many shark species out there that are in danger of extinction can have a fighting chance with the AWARE Shark Conservation Speciality. The course involves independent learning or classroom presentations, and certification can take place even if sharks are not spotted on the training dives. Stay down longer and get back in the water sooner with the PADI Enriched Air Diver course. 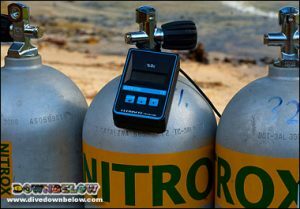 Learn how to dive using Enriched Air Nitrox, PADI’s most popular specialty course and your route to more underwater adventures. Underwater photography is one of the most popular diving specialties. Which is little wonder, as the rise of digital underwater photography has made it easier and more fun than ever. Learn how to take pictures that you are proud to show your diving buddies. The Usukan Bay World War II Wrecks are fascinating dives 1 hour offshore Kota Kinabalu in Sabah. 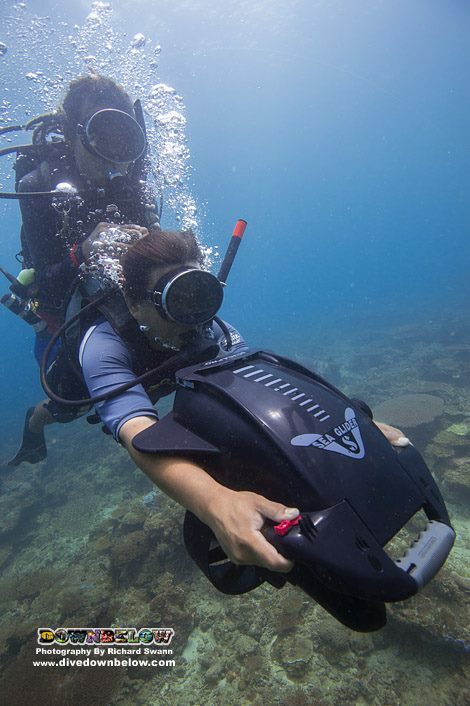 When certain pre-requisites are met divers can enroll on the PADI Wreck Diver Speciality. The PADI Wreck Diver course teaches you the ins and outs of rewarding, responsible wreck diving. Finding your way around a dive site is not a matter of luck! When everyone’s buzzing about a reef or checking out a wreck they’re having a great time – until it’s time to return to the surface or still looking for that special part of the reef. Then they turn to you, because as a PADI Underwater Navigator, you know the way back to the boat or best part of the reef!!! Most of our dives in Kota Kinabalu are drift dives, the majority of which are extremely mild and comfortable drifts and our boats pick us up at the end of the dive. Still there is an education behind drift diving which makes this a very interesting speciality. A fascinating course that teaches you about the worlds coral reefs. As a scuba diver, the health of aquatic ecosystems is often what makes a good dive. Become aware of the fragility of coral reefs and how you can help preserve them. Explore the wonders of the deep. We are going to teach you the techniques for diving down to a maximum of 40 meters. You’ll be exploring places other divers just cannot reach. 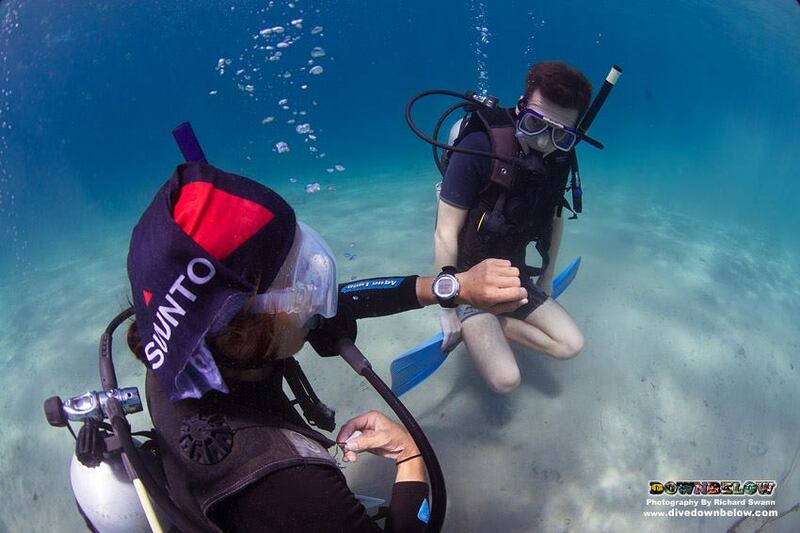 We guarantee you will lose weight with this PADI Specialty course; that is from your weight belt! Neutral buoyancy is the key to conserving your air consumption and leaving minimal impact on the aquatic environment. Learn how to achieve neutral buoyancy with ease. Learn about night dive planning, equipment and navigation. Plus, see a whole new cast of critters that comes out at night in the TARP. Please contact us for more information. PADI Manual and in some courses Student DVD, Training Log Book. Please contact us for more information and to get a tailor-made quotation, our courses run throughout the entire year.